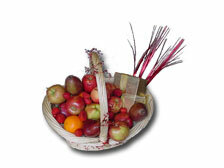 Hand-delivered wicker baskets filled with fresh fruit. 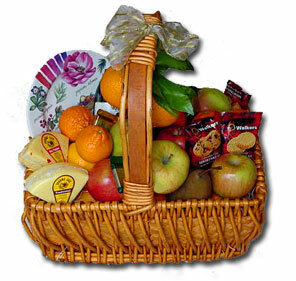 The baskets are hand selected by a professional produce expert and packaged by individually by Karen Guasco. Bay Area delivery service with free delivery in Marin. Baskets may include any specialty item you wish. We can deliver locally with a 24 hour quick turn around time. Email us today with your request! Name the Occasion and a Fruit Basket will make it better!